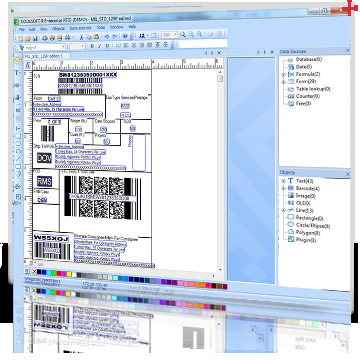 CODESOFT is advanced label design and integration software that offers unmatched flexibility, power, and support - making it the best barcode software choice for label printing in enterprise environments. With CODESOFT, you can easily integrate label printing and RFID technology into your business process, increasing both efficiency and control. Create labels in a fraction of the time with CODESOFT’s intelligent interface, helpful wizards, and fast database connections. Allows users to quickly design and print label with its intuitive interface and streamlined data entry process. Available and supported in 25 different languages and has the ability to print virtually any language. TEKLYNX has created printer drivers for all major printer manufacturers and models. Allows automated enterprise label printing, label approval and secure label storage by combining with other TEKLYNX applications. Advanced functionality to open, edit, and save LABELVIEW files within the software.